Living Peace Church of the Brethren affirms the core values of peace and nonviolence, simple living, and community that form the foundation of the Church of the Brethren as a denomination. We, the people of Living Peace, believe that prayerful discernment in the Holy Spirit leads us to better understand God's Word and God's Message to us in our daily living. We want everyone to live a life of plenty—full of the peace, compassion, and love brought by our Savior, Jesus Christ. If this is your desire, join us! We earnestly need you to help us hear God more fully. Bring your gifts and talents and gather with us at God's Table, and share with us in abundant living. Living Peace Church of the Brethren does not and will not discriminate for any reason against any person who earnestly desires to be part of the life of our community. Living Peace Church of the Brethren is a small, informal congregation in Northwest Columbus, Ohio. We have a participatory worship and decision-making style (see our Constitution). 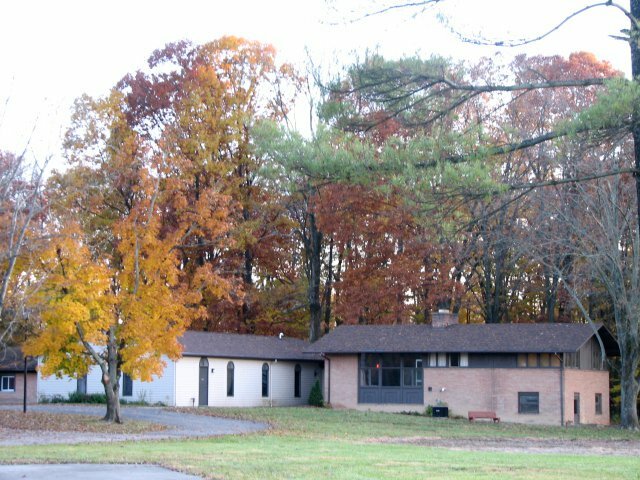 Situated on 8 acres of open and wooded land, yet surrounded by suburbia on all sides, Living Peace's green space is home to a family of deer, and provides room for youth sports and dog walking, as well as serving as a quiet and contemplative retreat. Members of Living Peace's congregation spearheaded the drive to create an Endowed Chair in Peace Studies at The Ohio State University. Living Peace members currently serve on the Chair's Consultation Group, along with members of the other Historic Peace Churches. Members of Living Peace's congregation have served on the Boards and in other leadership positions for several local, regional, national, and international peace agencies. These organizations include Central Ohioans for Peace, Every Church A Peace Church, Churches Supporting Churches (Response to Hurricane Katrina), Interfaith Center for Peace, On Earth Peace Assembly, and Christian Peacemaker Teams. And Living Peace called one of its own to be a Peace Minister to the larger community.